DWAO-TV, channel 37 is a Philippine television station owned by Progressive Broadcasting Corporation and operated by Breakthrough and Milestones Productions International, Inc. DWAO is one of very few NTSC-System M stations in the world that broadcast on channel 37. This station studios are located at #907-915 UNTV Center, EDSA, Philam Homes, Quezon City and transmitter located at the new UNTV Tower along Sumulong Highway, Antipolo City. It is known for its broadcast of Ang Dating Daan, the longest-running religious program in the Philippines. Its free public service programs manned by the network's chairman and CEO Daniel Razon. In July 2001, Progressive Broadcasting Corporation ventured to UHF television through UNTV 37. UNTV started on May 2002 as a television counterpart to NU 107, airing rock-related music videos. In its early years, UNTV gained a cult following through the program Strangebrew, a.k.a. Ang show na may tama. In 2004, however, UNTV with their blocktime with Tapatan, Inc. from broadcaster Jay Sonza, became the permanent home of Ang Dating Daan, gradually reduced and eventually abandoned airing rock music videos, and introduced informative and educational programs on UHF free TV. 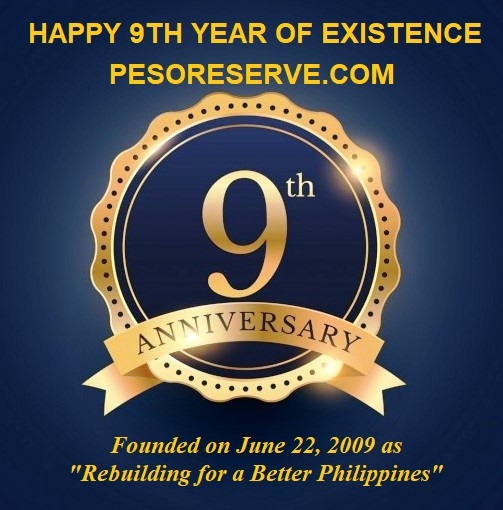 The first studios of the network was located at the AIC Gold Tower in Ortigas Center, Pasig before they relocated in Damayan Lagi, Quezon City in 2007 and later in Philam Homes, EDSA, Quezon City in 2008. Since then it has become a 24-hours a day, 7 days a week TV station (except on Monday mornings where its sign off from 12mn to 3am), airing not only ADD Programs, but also news, public service and information programming. In 2007, Kuya Daniel Razon's Breakthrough and Milestones Production Inc. acquired the main operations of UNTV and it became a public service channel, the first in Philippine TV history. UNTV logo (2007-2008) In 2013, UNTV marked another first in Philippine TV news as the network acquired DJI Phantom drones for their live news reporting. The drones first used during the onslaught of Typhoon Haiyan. Last June 25-26, 2014, the network celebrated their 10th anniversary in the broadcasting industry. For the anniversary program, UNTV organized the 2-day successful UNTV Elderpowerment Expo and UNTV Rescue Summmit held at the Philippine Trade Training Center and World Trade Center, both in Pasay City. A free concert featuring OPM artists was held also at the WTC. UNTV was commenced the ground-breaking of the soon-to-build UNTV Building in EDSA, Quezon City (near the current building) and the launching of their FM station, Wish FM 107.5 MHz. Shane Velasco and Beverly Caimen rendered the newest theme song of the network, entitled "Maasahan Mo". On July 14, 2014, one of the luxury hotels in Metro Manila, Sofitel Philippine Plaza Manila under its management, removes the UNTV channel in their line up. Netizens express their sentiments following after BMPI-UNTV Chairman Daniel Razon call in his morning show program Good Morning Kuya. The move becomes top one in the list of trends in social media in the Philippines against Sofitel's media discrimination. The latter claims the removal was on system limited only and as per request by its guests. Until now, UNTV is still removed from Sofitel's list of available TV channels. UNTV is currently testing Japan's Integrated Service Digital Broadcasting - Terrestrial (ISDB-T), the sole digital television (DTV) standard in the Philippines for its transition from analog to digital broadcast. On October 2, 2014, UNTV began its simulcast test broadcast on UHF Channel 38 (617.143 MHz) with 3 standard definition (SD) channels and 1-Seg channel for mobile devices. Reportedly, UNTV's digital broadcast can be received in Metro Manila, Rizal, Laguna, Cavite and Bulacan using ISDB-T set top boxes. Enjoy watching UNTV live online streaming free..